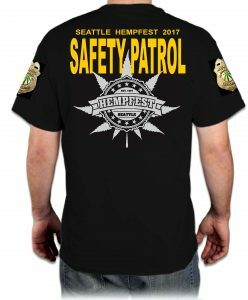 Hempfest Safety Patrol Wants You! Our goal is to minimize risks to health and safety during the event. We watch the park entrances and stage gates 24 hours a day, looking out for prohibited items and malevolent forces. We’re a happy crew of trained problem-solvers with a knack for being in the right place at the right time. 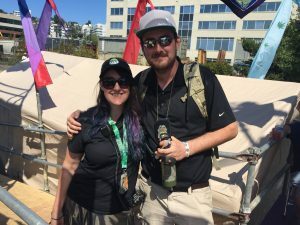 Hempfest Safety Patrol is here to hit the chill switch, not the kill switch. When problems arise, HSP will strive to resolve them in a calm, friendly manner. 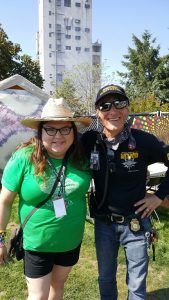 For over two decades, Seattle Hempfest has never experienced a serious violent event, and we intend to keep it that way. 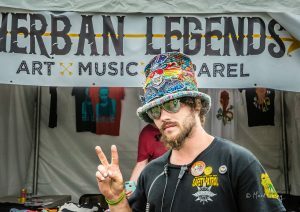 If you need us, just look for our distinctive shirts in black and grey. Black Shirts act as team leads, using radios to coordinate an organized response. Grey Shirts are empowered to deescalate and resolve issues in the field. Peacekeepers are recruited from the general volunteer staff if we think they can demonstrate the same high standard of performance that the public has come to expect from us. Peacekeepers receive an HSP laminate in addition to their regular staff shirt. Our mission is to protect the people, their possessions, and their movement. That means ensuring the health & safety of attendees and volunteers alike, protecting legitimate vendors from theft and unauthorized sales, and preventing mishaps before they occur. During the off-season, we conduct quarterly training sessions on situation response, deescalation techniques, radio protocol, and more. Too much fun? We’ll summon First Aid. Lost child? We’ll locate their parents. Menacing vibes? We can help. 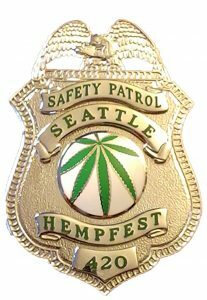 If you’d like to help out, email us at safetypatrol at hempfest.org. This is an internal crew, so you’ll need a password before you can volunteer for shifts. Please note that power trips are strictly forbidden. Thanks for reading. Remember to apply sunblock, drink lots of water, and above all, enjoy the fest!